Also: Schöne Grüße aus Buenos Aires! 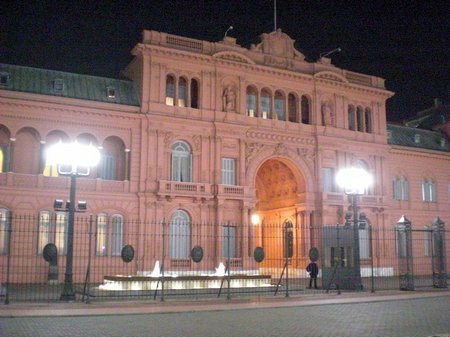 Hier unser erstes Highlight: Der Präsidentschaftspalast „Casa Rosada“. Hier stand in den 40er Evita Peron auf dem Balkon und winkte in die Menge. irgendwann müsst ihr mal zusammenrechnen wieviele Stunden ihr im Bus verbracht habt. 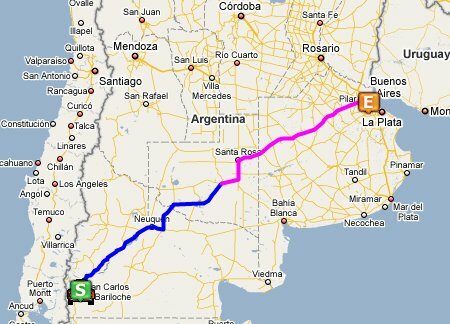 Allerdings gehören die Busse in Argentinien ja zu den besten Backpackerbussen der Welt…. cannot anderstand a word of what is written. You will have to do some translation for the poor french who don t speake german. Seems you are in BA at the moment. Did you have tango lessons? We are in Mendoza at the moment. Do you plane to go around here? For the nepal, we had our guide-porter at bleue planet lodge in pokhara. The name of the porter is Ashok. For the price, I have to search and give it to you later.